The Sony Xperia Z5 is a great smartphone, but once again is an incremental update from its predecessor - the fingerprint scanner being the biggest new feature. Although the Z5 is a durable device with fast and clean software, you’ll have to ask yourself if it’s worth it’s price tag. With Sony’s mobile future uncertain, the Japanese giant really needs to hit a home run if they want to win over today’s smartphone consumers. With that goal in mind, Sony recently unveiled three new members of the Sony Xperia family. 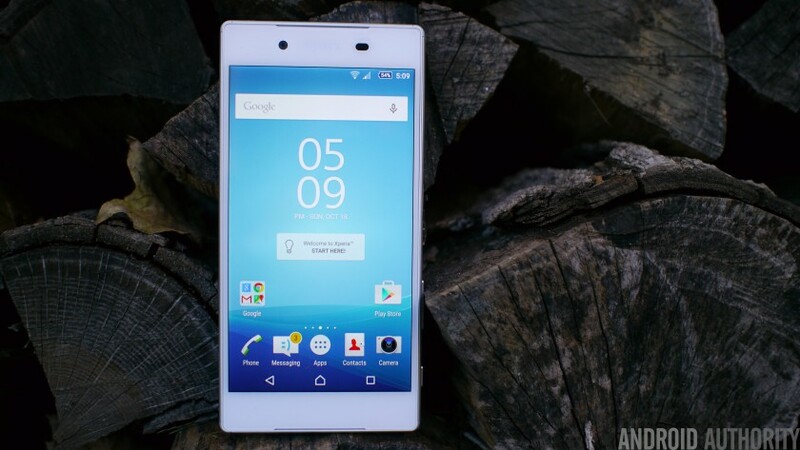 For those that prefer smaller screens, Sony gave users the Xperia Z5 Compact, which we recently reviewed in full. Sony also surprised the world with the Sony Xperia Z5 Premium, a pricey addition that pushes the envelope with the world’s first 4K display. Holding the middle ground, we have the standard Xperia Z5. I recently was able to get my hands on the Sony Xperia Z5, and spent a great deal of time getting familiar with it. How does this new flagship compare to its predecessors? Is this the Xperia we’ve all been waiting for? 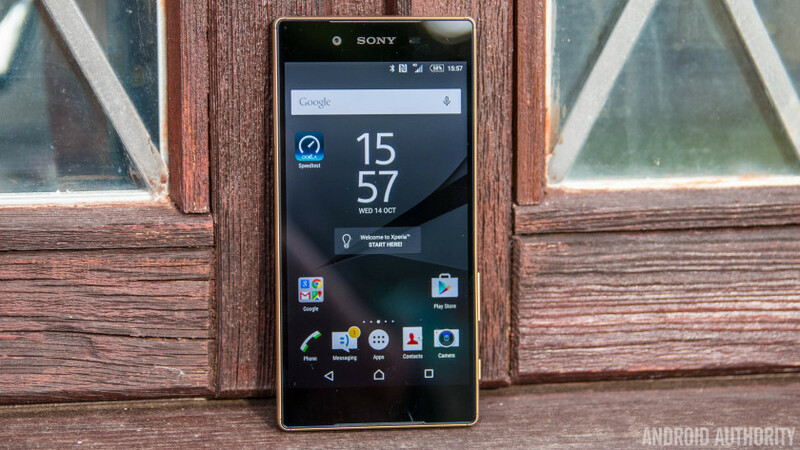 We find out in this comprehensive review of the Sony Xperia Z5. The design of the Z5 will be very familiar to those who have followed the Xperia series over the years, keeping the company’s iconic Omni-Balance language, albeit with a few tweaks that help further refine the looks. I’ll be honest, this is not my favorite smartphone when it comes to design, but I do think it has a sense of luxury and elegance to it, more so than most other phones on the market right now. Around the Z5 we have a smooth metal frame with frosted glass on the back. In the top left corner of the rear, you’ll find the 23 megapixel camera with it’s LED flash underneath. The design certainly looks rather beautiful and feels good too, but the glass does admittedly make the phone a little slippery. The phone isn’t too thick it is a little bigger than the Z3+ (aka Z4) at 7.33mm all around, though it is pretty light at 154 grams. The front of the phone sports the 5.2 inch HD screen, with some decently sized bezels on the top and bottom. Above it, is the front facing camera and a little notification light, that by default is white, but you have the freedom to change it. If you look a little more closely at the front of the Z5, you’ll notice the front facing stereo speakers on the top and bottom, almost hidden to keep the front of the phone looking very clean. The speakers certainly sound pretty good, though they are not very loud. Regardless, the Z5’s speakers are better than any speaker found on the bottom or back of other competitor devices. On the right side of the phone, we are greeted with the same familiar signature layout, including the beloved camera shutter button, though the volume rocker is now located even further down than before. Unfortunately, this unconventional placement makes it a little awkward to press, whether you’re using the phone in your right or left hand. The power button can still be found in the middle of the right side, though it has been supersized a bit in order to accommodate the fingerprint scanner found within. This year, Sony designed this power button to be flush with its border so you have to kind of push into the phone to activate it. It does have a nice squishy click to it but it can be a little hard to initiate that click with it being so flush with its side. As for the quality of the scanner? It does a pretty good job, though the area is rather small for a scanner. The Z5’s scanner might not be as fast as some of its competitors, but it gets the job done. And overall, the reliability is decent. Moving to the bottom of the phone, we’ll find the micro USB charging point and what looks like a lanyard hole. Not really much to see here. On the left side is where we can access our sim card, as well as our micro SD card. The problem is, it’s really hard to access them. First you have to use your nail to undo the flap and then continue using your nail to pull out the thin plastic housing. One reason these may be so hard to access is because they need to be kept well protected, as this phone is IP68 certified dust proof and water resistant. Sony does say however, that this does not apply to seawater. In a world where many flagships are moving to QHD, or even 4K in the case of the Xperia Z5 Premium, the Xperia Z5 opts to stick to 1080p. The 5.2-inch IPS screen packs a resolution of 1080 by 1920, which results in a 428 ppi pixel density. It’s a pretty nice screen, and in terms of colors, it’s fantastic. Colors are very vibrant and whites are very white, maybe leaning a little towards the warm side, but they still look very nice. If you want a more saturated image, you can easily do so within settings. The screen gets pretty bright too, and though you may have trouble seeing it in direct sunlight at times, it offers better brightness than a number of its competitors. Apart from colors though, the HD screen is not quite as beautiful as many other phone displays out there, even those that are still rocking 1080p. It almost appears that the Xperia Z5 is a slight step back from the Z3+, as it seems like there is a very slight haze over everything. Coming from the OnePlus Two that has an even lower pixel density than the Z5, the Z5 definitely is the weaker in terms of screens. When triggering fast animations, like the pull down notification menu, text and icons seem to have a subtle ghosting effect to them, more so than other HD phones. All that being said, the display is definitely not bad and out performs a lot of displays when it comes to color representation. But in the other areas, it falls a bit behind. Just as we saw with the Sony Xperia Z3+, the Xperia Z5 offers a Snapdragon 810, backed by the Adreno 430 GPU and 3GB RAM. There’s also 32GB internal storage and microSD for further expansion. All the normal connectivity options are here including Wi-Fi 802.11 a/b/g/n/ac, GPS, Bluetooth 4.1, 4G LTE, and NFC. As mentioned earlier, the phone also offers up a fingerprint scanner, waterproofing, and fairly high-quality front facing speakers. Whenever you hear “Snapdragon 810”, you get curious about overheating and whether it’s a legitimate problem. So does the 810 make the phone hot? Yes and no. When I first got the phone and installed all of my apps, it got hot. But from what I could tell, just as hot as it did on my LG G4, Note 5, and OnePlus Two when doing the same thing. In normal use however, I never noticed the phone getting the slightest bit hot. When doing more CPU intensive stuff like gaming, the Z5 did get noticeably hot but no more so than just about any other phone I’ve used. Technically the Z5 may overheat a bit more than other processors, but I wasn’t able to notice it just by feeling. Gary Sims tested this more in depth in his Z5 Compact review and found that for an app to stop working due to heat issues, you really have to be doing something crazy-intense like shooting 4k video for over 20 minutes. Heat may not be a major issue for most users, but how well does the Z5 perform? Pretty good. The UI is smooth and lag-free for the most part, and the 810 provides a great experience when it comes to gaming and general performance. One very minor annoyance is the battery size, however. With this phone being 10 grams thicker than its predecessor, you would think Sony would be able to put a bigger battery inside. For some reason, Sony went the opposite direction, with the 2900 mAh battery actually being 30 mAh smaller than the Z3+. Does this actually make a huge difference in the long run though? Thankfully, no. Like many other flagships coming out in 2015, you’ll be able to get an entire day’s life out of it as long as you don’t overdo it on screen time. This is even more true if you use the many battery saving modes Sony packed into the software like Stamina Mode and Ultra Stamina Mode. Without using any battery saving modes I was able to get at least 4 1/2 to 5 hours of screen on time with the Xperia Z5 and that’s with spending a lot of time browsing the web, sending lots of text, and taking some pictures throughout the day. Overall, the Xperia Z5 has a very reliable battery and the addition of Quick Charge 2.0 will allow you to top off the battery quickly for those days when you need a bit more oomph to make it through your day. After keeping the same camera for the last few generations, the Xperia Z5 finally saw the sensor bump up from 20.7 MP to 23 MP. Along with this improvement, you’ll find autofocus and LED Flash, though unfortunateyl there is no optical image stabilization onboard. For what it is worth, the software video stabilization in it does a pretty nice job, even if it’s not quite the same. I was pretty excited to test out this camera because some of the best smartphone camera sensors are supplied by Sony, and all over Sony’s website they boast about the picture quality this thing can take. They even flaunt the megapixel count on the back of the phone. Unfortunately, the camera is not as great as you would think and on top of that, the whole megapixel count is very misleading. Even though Sony is boasting that the Xperia Z5 is a 23 megapixel camera, that should really mean 8. Yes, the Z5 is capable of shooting in 23 megapixels but for whatever reason, the camera software is not optimized for it, so when comparing a 23 MP shot to an 8 MP shot, the 8 MP shot will often times look undoubtedly better. Better color, better dynamic range, and better-looking textures. Sony seems to know this as well as 8 megapixels is enabled by default. But there are times where 23 megapixels look better, so it just makes things a little confusing. If you don’t want to have to mess around with these settings, just stick to 8. To be fair, in normal lighting conditions pictures are actually very nice. There’s a lot of detail in these pictures and colors look very good, and they have a nice saturated look to them. There’s a little sharpening going on but most of the time it leads to a better picture. Dynamic range looks very good. Sometimes it can overexposed a little but nothing too unusual. Medium light pictures is where the quality will begin to take a dip. They still look very nice, but you will start to see some purple creeping into the darker areas of the photos. And then when you get into low light, even more purple appears. Anything that is dark looking will have this purple hue to it, making it look pretty bad. The same can be said for the front facing 5.1 megapixel camera. In good light, pictures look very good. Nice details and it exposes perfectly. In medium light, selfies are still great. Even in low light, selfies look pretty good. Details are lost and photos can be a bit grainy but the colors are better than the rear facing camera in low light it seems. To get that purple hue in selfies, you have to go to extreme low light. Video looks very good on the Z5. Everything seems exposed correctly and even though there is no Optical Image stabilization, the software makes up for it and creates a pretty smooth image. I’ll admit I was pleasantly surprised. 4k is available too, although when shooting for long periods of time, the phone may overheat. There’s also tons of camera features and effects like AR effects, multicamera, face in picture, and more. For a Sony camera so hyped up and really only good in bright lighting conditions, it definitely leaves a little more to be desired. That said, there are certainly worse cameras out there. The great thing about Sony’s Xperia phones is their software. The Xperia Z5 is running Android Lollipop 5.1.1 and it actually looks fairly close to Stock Android. There are a number of additions Sony added to the software experience, but not so much as to make stock Android’s designs unrecognizable. For example, you can change the clock style on the lockscreen to some different options, and you can rearrange the icons or even hide some in the notification pull down. The freedom to decide which icons are shown on the status bar is present with the Z5’s software as well. So you can hide the battery percentage or time, kind of like what you’re capable of doing with Android Marshmallow. Themes are also available that include live wallpapers that move depending on where you touch. As far as extra apps go, Sony has included Movie Creator for making movies from your photos, TrackID which is Sony’s music recognition app, Lifelog for tracking calories and other fitness info, Wisepilot for turn-by-turn navigation, and three Playstation apps – PlayStation, PSN, and PS Video. The important thing is that everything runs very smoothly. When you first turn on the phone after powering off, there will be a bit of lag for at least a couple of minutes but after that you shouldn’t notice any stutters or crashes. By default, the app opening and closing animations are bumped up to make the overall experience feel very snappy. As is typical with Sony’s flagships, North American launch details are still pretty scarce, though you can get the phone throughout much of Europe and Asia right now. For those in the US, it’s also possible to easily find international versions of the phone through retailers like Amazon for around the $650 mark. That said, if you are upgrading from an older Xperia (Z2 or Z3, etc) or are someone who is simply looking for a reliable, elegant looking phone with an enhanced near-stock Android experience, the Sony Xperia Z5 could be a good choice if you can look past a few shortcomings. So, there you have it for this in-depth look at the Sony Xperia Z5. What do you think of Sony’s latest flagship? Let us know down in the comments below!